So, you've decided to get a new smartphone specifically made by Sony? Whether you're a long time user of the brand's products, or decided to join the Sony brigade just now, you're probably looking for a quick run-down of which models you should be interested in. 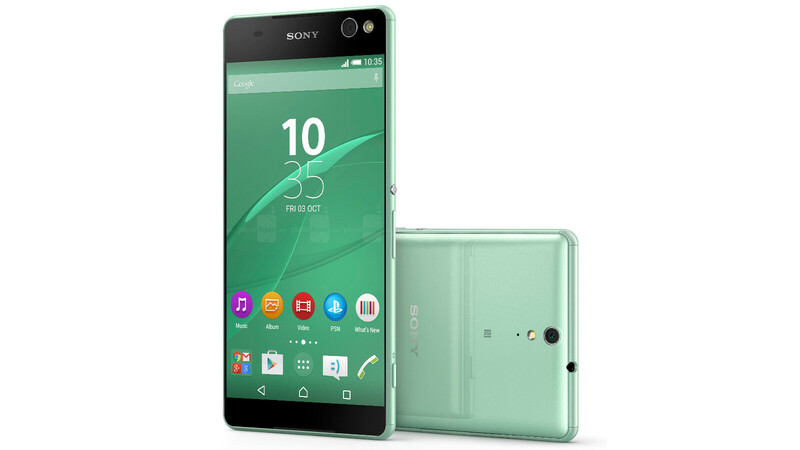 Sony is among the most popular manufacturers for Android handsets, and its newest top-tier phablet — the Xperia Z5 Premium — certainly drew a lot of attention due to it being the world's first smartphone with a 4K display. But, of course, it's not the only handset in the company's portfolio. Out of the three, the XA definitely caused the most necks to turn, due to its narrow body, bezel-less appearance, soft ergonomics, and overall beautiful design. The phone is a midranger, powered by an octa-core MediaTek Helio P10, with 2 GB of RAM, and 16 GB of expandable internal storage. Its display has a 720 x 1280 pixel resolution stretched across its 5-inch display, which should make for a pixel density of 294 – not perfect, but decently crisp. On one hand, lovers of high-end handsets may be a bit disgruntled by the fact that the prettiest-looking new Sony is a mere midranger, but you can view it another way — it's an affordable, yet beautiful smartphone. In the short time we had with it, we felt like it's pretty snappy and responsive, though, we've yet to put it through its paces and test out camera and battery life, of course. The Xperia XA is reportedly going to hit store shelves on the 10th of June, so if you are on the hunt for a midranger and aren't planning to buy a smartphone as soon as possible, maybe wait until you can get to test it and check out our review on it. The Xperia X is a higher-tier device, but still in the midrange segment. It's much more traditional-looking and carries over a lot of Sony DNA and recognizability. 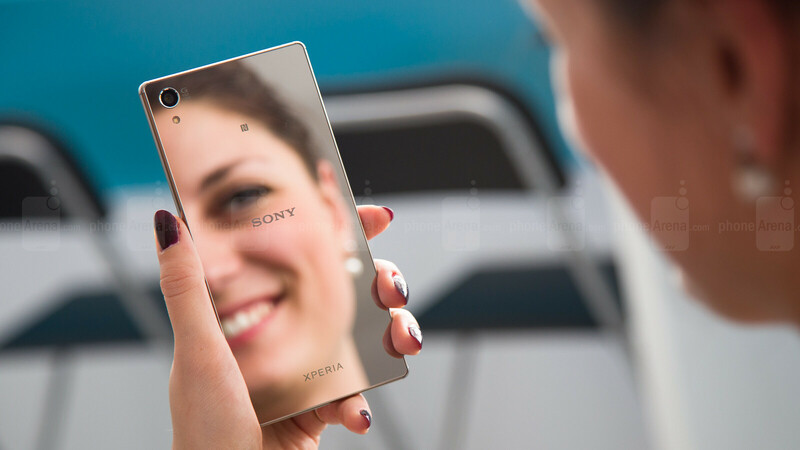 The glass backs that we had on the Xperia Z line is gone – expect a full metal body on the new X. 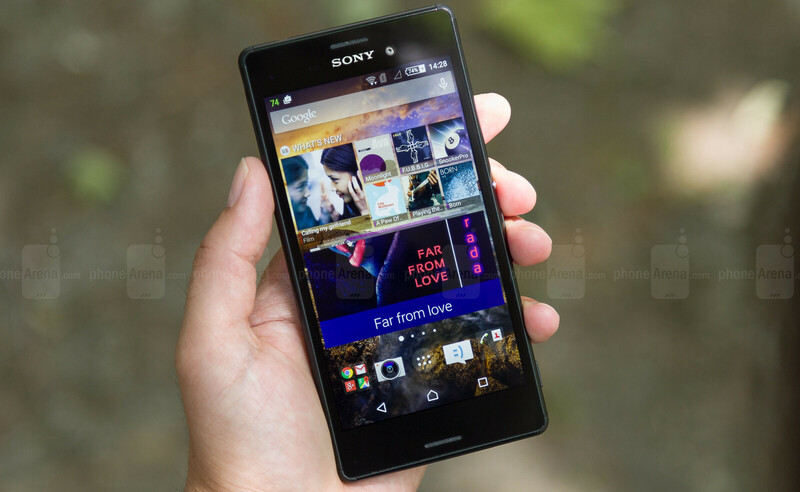 However, in general shape and feel, with its stark lines and defined rectangular shape, the device is very reminiscent to the Xperia Z5's design. 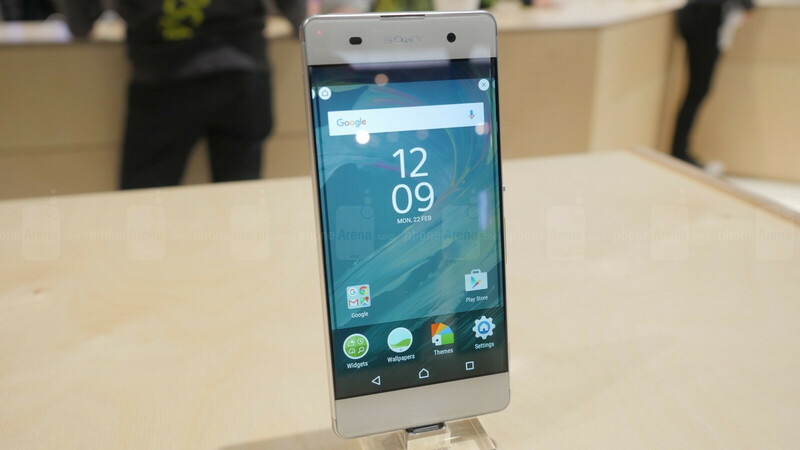 The Sony Xperia X has a 5-inch display with a 1080 x 1920 resolution, and a hexa-core Qualcomm Snapdragon 650 humming under its hood, paired with 3 GB of RAM. The phone's internal storage has 32 GB of space, and is expandable via microSD card. Its main camera has a 23 MP sensor and is assisted by predictive Hybrid AF – Sony's super-fast focusing system. On the front, we have a 13 MP snapper for those super-detailed selfies. The side-mounted fingerprint scanner from the Xperia Z5 is back, too — nothing new there, it looks and feels pretty much the same (that is — pretty responsive). So, basically, the Xperia X packs most of the hardware of the upcoming top-tier Xperia X Performance, but cuts down on the processor, which should, hopefully, give it a more affordable price. According to reports, it will ship on the 20th of May, so it may be worth holding your breath for a little while if this handset piques your interest. Now that we have the up-and-comers out of the way, at least for now, let's take a look at what's available at the moment. Of course, not everybody wants a flagship, so we will check out the best offerings from a few different tiers. The Sony flagship at the moment, which means the most powerful hardware (on a Sony smartphone), and, presumably, the most acceptable ratio between screen size and handleability, at least according to the manufacturer's own tastes. The Xperia Z5 is not without its faults, but is certainly worth the attention if you are dead set on getting a Sony. 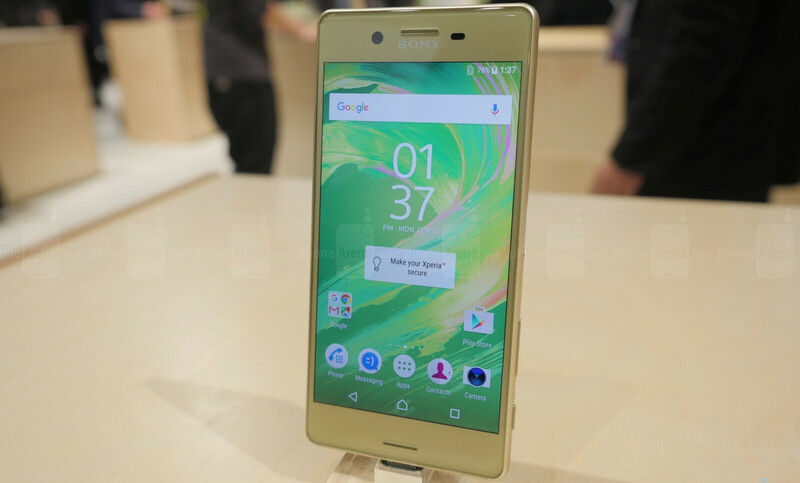 Packing a full metal body and a matte glass back, the Xperia Z5 features a 5.2-inch display with a 1080 x 1920 resolution, a Snapdragon 810 SoC, 3 GB of RAM, 32 GB of expandable memory, and a super fast-focusing 23 MP camera, the Z5 definitely has what to drool over. In reality, we didn't feel like it was up to par with the competition's flagships of today, but that doesn't mean we found it to be terrible. A reliable fingerprint scanner, a cool metal build, a pleasing experience with the camera's fast Hybrid AF — the Z5 can still have its moments and make you feel like you are holding something special at certain times. Technically, the M5 is considered a midranger, but it still packs pretty respectable hardware — a 5-inch display with a 1080 x 1920 pixel resolution offers an extra-sharp pixel density of 441 ppi. The phone is powered by an octa-core MediaTek Helio X10 SoC and 3 GB of RAM, though, it's only bundled with 16 GB of expandable storage. Notably, its cameras have two high-resolution sensors – 21.5 MP for the main snapper, and an overkill 13 MP for the selfie cam. Undoubtedly aimed at the social media-active youth, the M5 may make some compromises in terms of design, with a plastic body and somewhat thick bezels, but it's still water- and dust-proof (IP 68), which means it can survive everyday accidents and somewhat careless handling. Performance-wise, you can trust that Xperia's rather light UI will be fairly snappy. But expect heavy 3D games to drop some frames. About 6 months older than the M5 and technically its predecessor, you can expect to find the M4 Aqua at a nice discount. Of course, its hardware takes a dip in power as well. The Xperia M4 Aqua rocks a 5-inch display with a lower resolution of 720 x 1280, making up for a 294 ppi density — not great, but still sharp at regular viewing distances. Its processor is the Qualcomm midranger of choice – the Snapdragon 615, coupled with just 2 GB of RAM, and an on-board storage of 16 GB (expandable via microSD). As the name suggests, the M4 Aqua is still IP 68-certified, which means it doesn't fear water nor dust, as long as all its flaps are closed and it's not submerged in salty seawater, that is. The Snapdragon 615 is perfectly capable of handling the light Xperia UI, though, the comparably low RAM will be noticeable when the user tries to run a lot of tabs in the Internet browser, or juggle with lots of apps in the background. So, a great midrange choice for the practical user who wants a phone that won't be used heavily, and can survive some accidents. 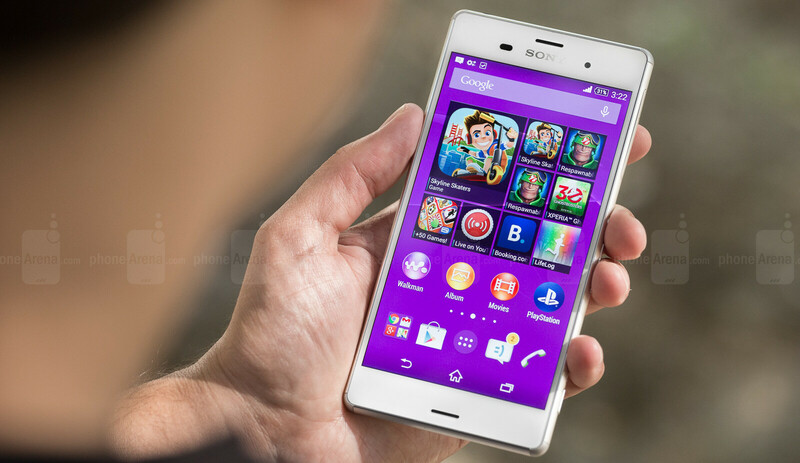 In reality, the Xperia Z3 is still one of our favorite Sony flagships in recent years. And it's still a very adequate handset — the 32-bit, quad-core Snapdragon 801 SoC and 3 GB of RAM perform fantastically with Sony's UI, and the phone is still getting updates for the latest Android OS. For an Android flagship that is technically 2 generations old by now, that's pretty respectable. The Xperia Z3 is also a pretty big player in the field of battery life, thanks to the less power-hungry processor, a non-insane 1080 x 1920 pixel resolution on its 5.2-inch display, and definitely thanks to Sony's STAMINA mode, which, to be fair, is present on the other Xperias as well. Unfortunately, its cameras failed to impress, despite the respectable 20.7 MP resolution on the main sensor. They are not unusable by any means, there's just better options out there. But for about $300 (going price of officially offered Unlocked units on Amazon, you could probably go lower), the Xperia Z3 offers a lot. Keep in mind that if you find a Z2 for a bargain price, it's worth considering as well – same hardware in a more square-ish body and IP 58 (not really ingress-proof) certification. Of course, you knew this was coming. Sony is still the only major Android manufacturer that offers a handset that comes in a smaller size, but doesn't compensate or cut corners in terms of hardware power. 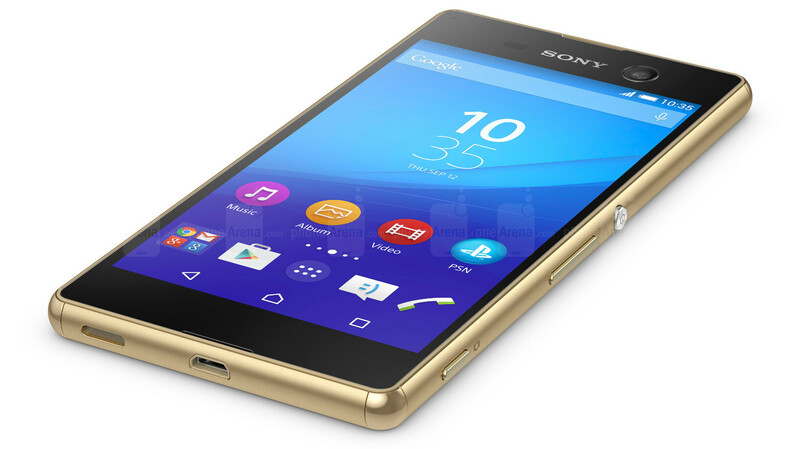 The Sony Xperia Z5 Compact is a regular, flagship Xperia Z5, packed in a smaller, plastic body that still has the fingerprint scanner on the side. The only exception is that its RAM is cut down to 2 GB – kind of a downer, but not a drastic compromise. The Z5 Compact has a 4.6-inch display with a 720 x 1280 pixel resolution, making for a ppi density of 319 – about as crisp as the iPhone's “retina” displays. It's a great choice for those that don't consume a lot of media or a lot of browsing on their smartphones and prefer portability instead. The powerful hardware is there to guarantee a more reliable performance and prowess for the times that it is actually needed. Just like with the regular Xperia Z3, we were pretty impressed by the Z3 Compact, especially when it comes to battery life, and it still holds a special place in our hearts. Compared to the Xperia Z5 Compact, this one will come with a less-powerful processor, no fingerprint scanner, no super-fast Hybrid AF, and the less impressive 20.7 MP camera that we also have on the Xperia Z3. However, the handset still runs snappy, is updated to the latest major Android build — 6 Marshmallow — and can be found at pretty bargain prices nowadays. Worth considering for smartphone users that only need the essentials, but are willing to pay a bit extra for the kind of hardware that would run them flawlessly. Funny enough, back in 2014, Sony proudly claimed that the company is not interested in jumping on the QHD (1440 x 2560) resolution bandwagon, while most of its competitors were all racing to build the super-dense displays. Understandably so – many still question whether QHD even makes a noticeable difference on a small, 5-inch display, and especially if it is worth the extra strain that the resolution puts on the phone's hardware. By now, however, it doesn't matter – 1440 x 2560 has become the standard that all flagships vie for. Interestingly, however, Sony skipped QHD altogether, and went for the extra-overkill 4K resolution on its 5.5-inch Xperia Z5 Premium! On the inside, the Z5 Premium is just your regular Xperia Z5 – a Snapdragon 810, 3 GB of RAM, 32 GB of expandable storage, the same 23 MP main camera with the super-fast Hybrid AF, and the same 5 MP selfie cam. The phablet's design is also very much like the regular Z5, only inflated, and with a glossy back, instead of matte. Of course, the major difference and selling point of the Z5 Premium is its display. Now, with a 2160 x 2840 pixel resolution stretched across the screen, we've got a ppi density of 801 – that's insanely crisp. But don't be fooled into thinking that the phone runs in 4K resolution at all times. When you are browsing the web, or doing anything outside of watching pictures and video, the handset actually renders in 1080 x 1920 pixels, and upscales the image to fit the 4K screen. Only when you open the proprietary Xperia Album and Videos apps, the display will render an image in its full 2160 x 2840 glory. Of course, this is done so to prevent the phone from working overtime to render the crisp resolution when you are doing something as simple as checking your email or sending a text. But it is kind of disappointing that we can't actually watch 4K YouTube videos on the device. At least not "yet", maybe? 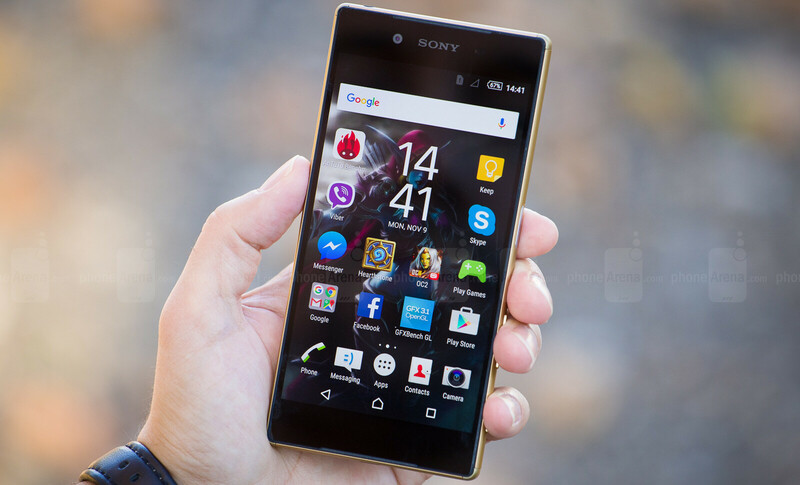 The Xperia Z5 Premium is the choice to make if you want to have the best large-screen smartphone on Sony's current roster, and if you want the bragging rights for having the world's sharpest display in your pocket. Sony's Xperia C line started off as the selfie-centric smartphone for the social media-active youth, and this is very apparent with the C5. The handset has 13 MP snapper on its back, and the very same one on its front — that's right, a 13 MP selfie camera, with a LED flash to boot — it's beyond any doubt that this is the selfie-lover's handset. The C5 Ultra has a gigantic 6-inch display, which makes it a media consumer's tool as well, and Sony did try to compensate for the huge screen by narrowing the device's side bezels down. With a screen-to-body ratio of 76%, the Xperia C5 is somewhat narrower than you might expect for a phablet of its caliber, though, it's still big, so if your wardrobe is full of skinny jeans, you may want to think twice about getting this one. On the hardware side, the 6-inch screen has a 1080 x 1920 pixel resolution, making for a crisp ppi density of 367. The handset is powered by a 64-bit, octa-core MediaTek MT6752 SoC and 2 GB of RAM, and has 16 GB of expandable internal storage. In other words, it's not a powerhouse that will do a lot of app juggling or 3D gaming, but for the purpose of picture-sharing, social media-browsing, and video-watching, it'll do just fine. I love Xperia line.close to stock super fast. Sony is about to close down its mobile business, and you suggest people to buy its non-supportive devices? No way! Literally Sony is on its trend to be another Sharp. Yet my Z5 Premium has been on Android 6 for well over a month. How are the rest doing? And where is the official announcement that Sony is closing down the mobile business? They are adjusting but not necessarily stopping. Lol I like when Sony fanboys are an addict in denial. Sony just like others Japanese companies aren't making progress towards a position where they are able to be granted a survival in modern-day world. People need real innovation and advancement. A silly assumption that "Japanese products are in high quality" doesn't work anymore. Leave the Korean attention w***e alone. You are giving him exactly what he wants - any excuse to draw attention. Sony non-supported? I think that Sony is easily the manufacturer that has updated most of its devices to Marshmallow. And Z3 is the only non-Nexus phone that allows installing of Android N preview. Let's not beat around the bush and acknowledge the fact that Sony is the most developer-friendly major Android OEM. It's true that Sony has difficulties to make money with the Xperia line and that its mobile phone business may come to an abrupt end, but I wouldn't call Sony's attitude towards their smartphone customers "non-supportive". I love the Xperia XA design, too bad it they din't keep the same design for the Xperia X and Xperia X Performance! Wow, wait a minute, how come the Xperia X Performamce is not in the list??? 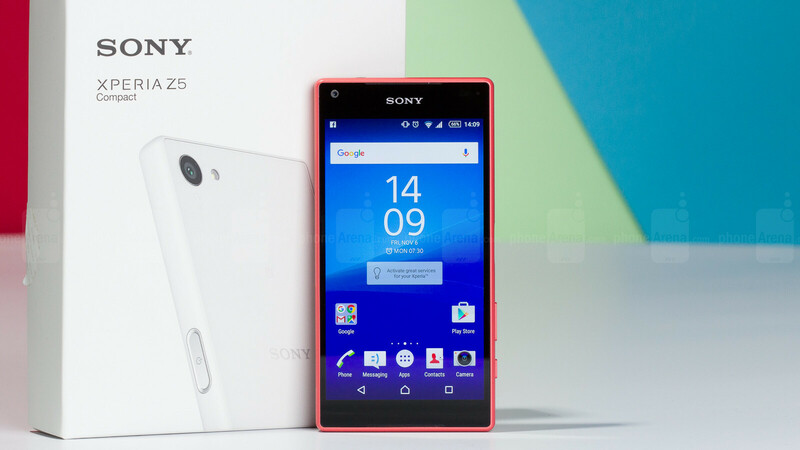 "Sony is among the most popular manufacturers for Android handsets". Really? Is that why according to the latest global market share estimations Sony has fallen outside the top 10? Furthermore, you say that the Sony Xperia Z5 is the current best when it features the Qualcomm Snapdragon 810, which one of the worst SoC ever produced. Finally, in the blast from the past you say that Sony Xperia Z3 is the best when the Sony Xperia Z2 is even better which its excellent display as far as colour reproduction is concerned. Dude you need to reread some parts of the article before you post something. Come on Sony, make a real comeback with the Xperia X and X Performance!!! IMO, the design of SONY phones are TIMELESS! And their Hardware Build Qaulity is Second to None, can assure you all their phones will survive ages with minimal sign of wear and tear. All my 7 Sony phones (Xperia X10 Mini, X10 Mini Pro, Mini Pro, Neo V, Ion, SP & TX) are still in working conditions, save for the fact that some of their softwares became outdated.